At Myers Automotive, you’ll find Knowledge and Experience you can Trust. We specialize in full automotive service and only hire the most knowledgeable and experienced mechanics. 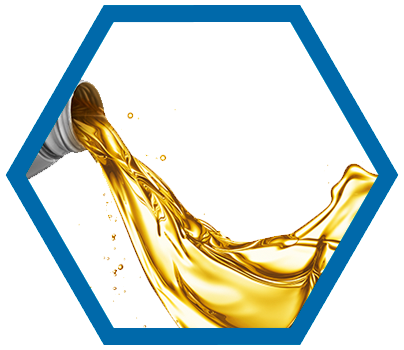 The best way to avoid expensive breakdowns and repairs is with regular preventive maintenance and oil changes. At Myers Automotive, we inspect every vehicle top to bottom every time it’s in the shop so we can help you understand the condition of your vehicle and so you can plan for maintenance before you’re stuck on the side of the road waiting for a tow. 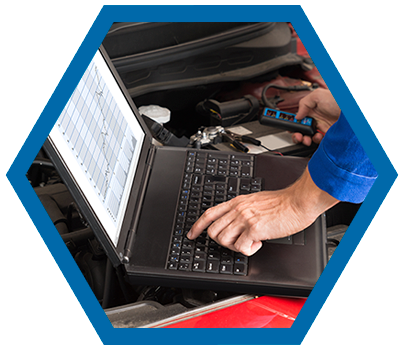 Myers Automotive is a full-service repair facility, equipped with the latest scan tools and diagnostic equipment so that we can diagnose the issue with your vehicle right, the first time it’s in the shop. 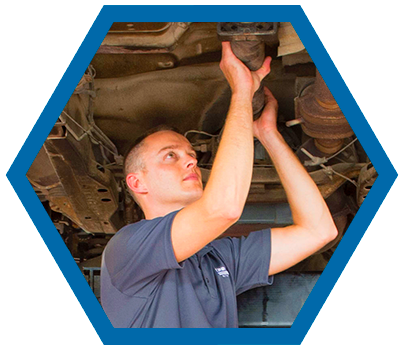 Our ASE-Certified technicians continually train so that they can accurately diagnose and fix issues so you and your family can get safely back on the road. Wondering if that used vehicle is a good purchase? Want to know what that weird smell or sound is? Need to make sure that vehicle is ready before it heads off to college with your student? At Myers Automotive, our ASE-Certified technicians do both pre-purchase and safety inspections to make sure your vehicle (or the vehicle you’re thinking about buying) will keep your family safe! 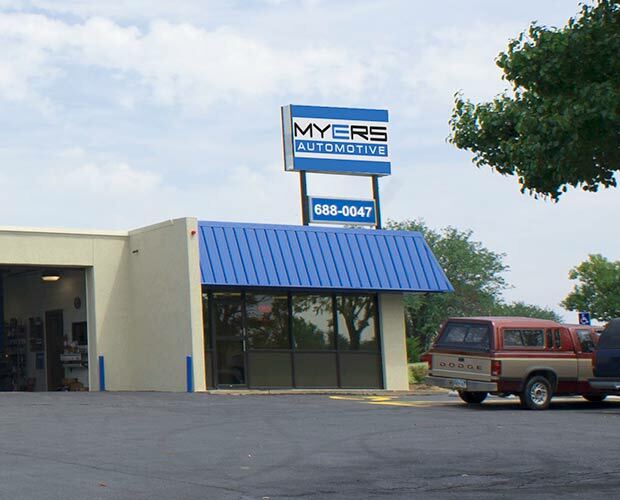 Welcome to Myers Automotive, your home for quality, skilled auto repair in Wichita, Derby and Andover, Kansas! Our four locations are full-service repair shops. From pre-purchase inspections and preventive maintenance, to engine and transmission repair (and everything between), our ASE-certified technicians are trained and equipped to keep your family safely on the road! At Myers Automotive, we guarantee every repair for 36 months/36,000 miles on parts AND labor. And with four convenient locations in East Wichita, West Wichita, Derby, and Andover, you’re never far from exceptional service and skilled repairs! beat the competitors buy a huge amount. I highly recommend Myers Automotive! I was in a bind with my car and they went above and beyond with their service and beat the competitors buy a huge amount. I highly recommend Myers Automotive! The truck engine is quiet and runs like new! I will be taking all vehicles to them for maintenance and repairs! Awesome job guys and a shout out to Chris Shaw, you guys earned a customer for life! Clean shop, very nice waiting area with comfortable chairs. They are efficient and honest about what needs to be done and what can wait. Mechanics seem to be very well-qualified. Enter your address or zip code to see your nearst location. Click on "Directions" in the map listing to view in Google Maps.